"Condolences to all...keep his memories close to your heart..."
"Margie, Alex , Jami and Damien I am so sorry to hear about..."
"I miss you so much. It just doesn't seem real. I'm so glad..."
"Kenny and I miss you already! 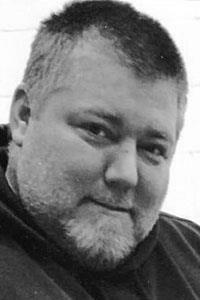 Playing cribbage and watching..."
ANSON - David C. Greene, 39, of Anson, passed away unexpectedly at his home on Feb. 7, 2019. David was born in Skowhegan, the son of Marjorie Greene on July 27, 1979, he was educated in the local schools. David is survived by his mother, Marjorie Greene of Anson; his son, Damian Greene of Embden; his grandson, Drezden Greene; his brother, Alex Taylor of Madison; his sister, Jami McCoy and her husband, Andrew, of Solon; by two nephews, Jonathan Taylor and Maxxwell Caplan and a niece, Lillianna McCoy. He is also survived by a grandmother, Lucie Bridges of North Anson and many good friends.